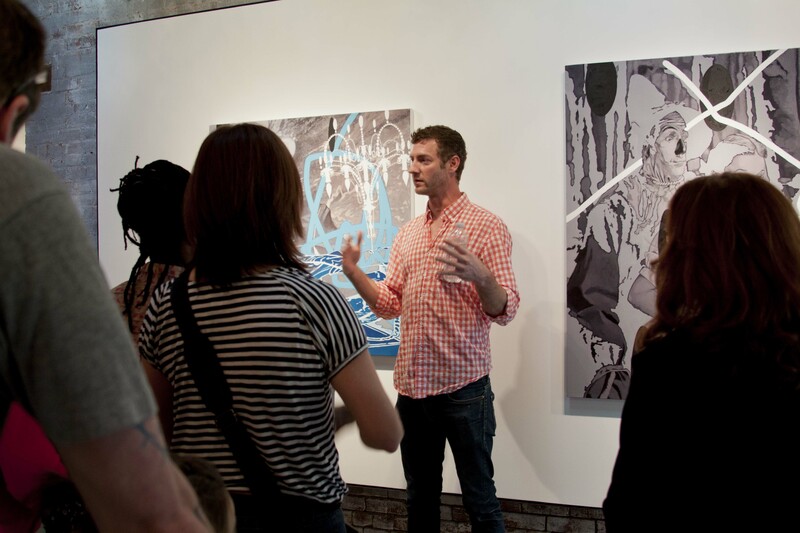 Guests gathered at whitespace on Wednesday evening for a conversation with artist, Tommy Taylor. 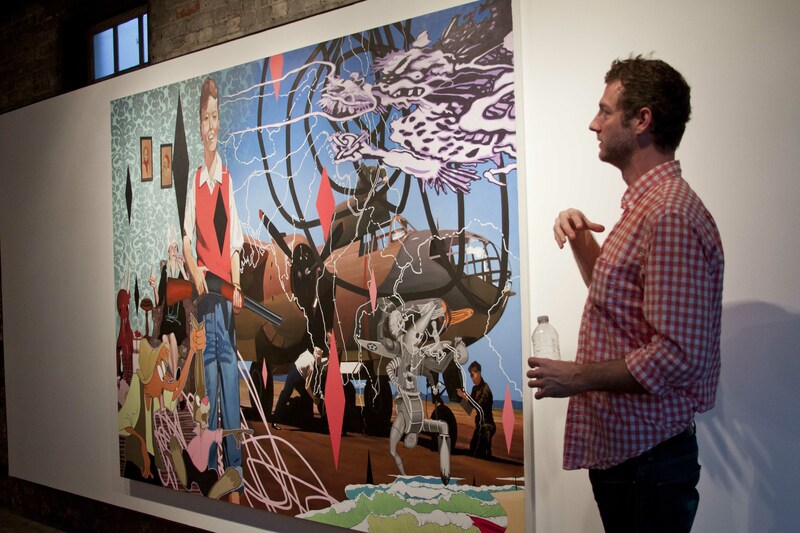 Taylor’s recent show Some Sort of Solitude was inspired by a trip he took through the North Carolina mountains and the book, A Short History of Myth. Taylor began thinking about more instinctual parts that form our experiences and attempted to paint the unexplainable. Throughout the work, Taylor depicts images from his childhood, a time when things seemed much grander, and calls the paintings “visual puzzles”. Painting through the eyes of an inner-child, Taylor explores ideas of heroes and what it means to be a man. Popeye and Bluto appear in two of his paintings. Taylor thinks of Popeye as an exemplary of a hero and shows Popeye and Bluto as one figure, a Yin and Yang of sorts. "Ledo Road" features multiple images that symbolize members of the artist's family. The seated woman is a representation of Taylor's aunt whom he remembers telling stories of Brer Rabbit, depicted in the left hand corner. The young boy, or the artist's great uncle, was a war-time pilot. Ledo Road, the only road accessible to soldiers, was used as a supply route. The painting also depicts an image from German propaganda conveying the country's dark past. This entry was posted in Uncategorized on March 30, 2012 by Whitespace.